Oculus Rift has taken a step out of the HTC Vive's shadow, as support for room-scale tracking is set to land on the platform. 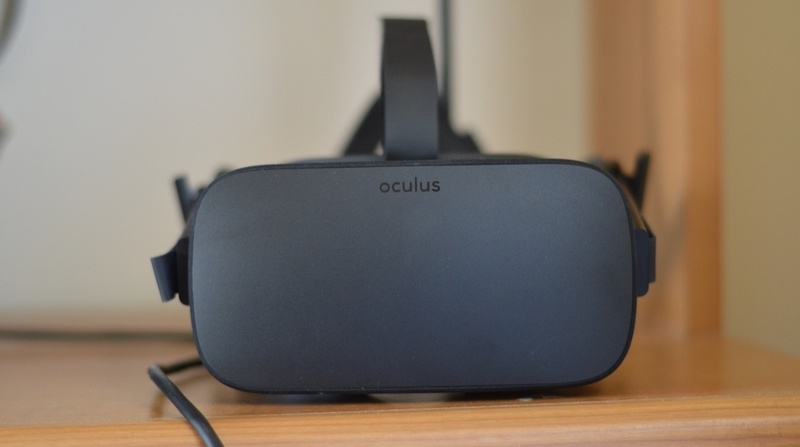 While Oculus Rift blazed a trail for consumer-grade VR, it has lacked support for camera sensors, which enable users to walk around within a space, meaning that Oculus experiences have remained pretty static. But a new update to Oculus Home spotted by Engadget indicates that support for four sensors is incoming. Now hold fast. Those sensors aren't available yet, and nor are the long-awaited Oculus Touch controllers, which should help create a HTC-rivaling experience. A release date for the long-delayed controller is tipped for mid-October as the team at Facebook HQ work on getting them out there as quickly as possible. That's because recent data has indicated that the HTC Vive could be outselling the Oculus Rift by a factor or 2:1, despite a significantly higher price. That's not good for Oculus, which is still to considered by many to be the VR headset. It's not been the smoothest of rollouts for team Oculus after some pre-order shipments of the consumer model had been delayed for months when the headset launched earlier this year. The company has since announced that headsets will now ship within 2-4 business days. The potential of room-scale tracking for the Rift is huge and hopefully we're not left waiting too long to see it added it the VR setup. Check out our review of Oculus Rift, the best Oculus Rift games and the verdict of our definitive HTC Vive vs Oculus Rift head-to-head.